This is a seminar that enables to understand all about the Vitalreact Therapy Seminar that is held 8 times a year. It is an official seminar by Dr.Yamasaki. This will proceed by including lectures of practical skills in many sections. It will explain the things that are regarded as important at the time and pass on the latest information and best techniques to the attendees. People will learn so that they can actually apply what they learned in the beginner course for medical practice. The contents are so insightful that it would sound new each year, even if attended every year. The qualifications for receiving this course is to be a member of the Vitalreact Therapy association or people as well as students who have obtained a national medical qualification. Those who will attend the Osaka Seminar for the first time will take from the beginner course. In order to go up to the advanced course it is necessary to clear various requirements that are laid down separately. This is a seminar for beginners held on the same day as the advanced course. 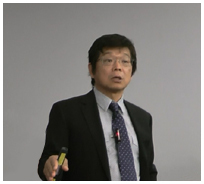 The course for 2011 will be by Doctor Teruyuki Miyamoto. It is conducted by using the curriculum of 8 times in a year, and allows to learn fully from the basics. The qualifications for receiving this course is to be a member of the Vitalreact Therapy association or people as well as students who have obtained a national medical qualification. This is a study room for beginners and those who have interest in this treatment. We recommend doctors who are about to implement or are about to implement to participate. There are no qualifications for participation so anybody can participate. This will be conducted on the evening of a Saturday, the day before the Osaka seminar. This is a training school in order to prepare to take the Osaka seminar. The contents are to help understand what the Vitalreact Therapy is. By understanding what the Vitalreact Therapy is in Tokyo and Fukuoka, we would like you to deeply know more about the Vitalreact Therapy at the Osaka Seminar. This is a seminar by Doctor Masafumi Yamasaki held twice a year in Spring and Autumn for those for the first time. (The lecturer could change) People apart from the Vitalreact Therapy association members can participate. The contents of this one day seminar allows to understand the introduction of the Vitalreact Therapy. Simple experiences can also be received. Apart from that, any questions will be fully answered so it will no doubt be a plus for your clinic. This has currently been held 4 times. This is conducted irregularly with doctors from overseas. The number of participants is increasing each year and the contents are substantial! The compilation of the Vitalreact Therapy is presented. Plenty of theories that can be used from tomorrow!! The 5th seminar will be held on March 10, 2013. Once the details are decided they will be uploaded to the homepage. This is a study tour of Doctor Masafumi Yamasaki’s treatment facility. Please absorb many things by observing the real treatment up close. These are study groups that are held at the doctor’s treatment facilities that are actually implemented in various regions. Please contact for schedules and so on.